2000 was a good year for Kate Hudson. 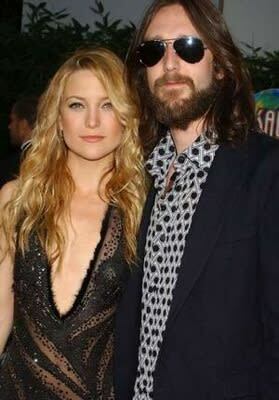 Between the release of cult classic Almost Famous and getting married to The Black Crowes frontman Chris Robinson, everything seemed to be falling into place for the young actress. Six years later, the couple announced their divorce and it was finalized in October 2007. “Chris and I divorced for the right reasons. We just didn’t work,” Hudson later admitted. “But we remain extremely close.” Following the split, romantic spells with Owen Wilson, Dax Shepard, and Lance Armstrong all ended in break up, but she eventually landed on her feet with her now-fiancé Matthew Bellamy.